Snowmobile snocross champion Tucker Hibbert is leading a team focused on raising money for Make-A-Wish® Minnesota. No stranger to setting and achieving goals, the 14-time X Games medalist is asking fans, friends and family to join his Team 68 Walk for Wishes® team to raise $6,800; the average cost for Make-A-Wish Minnesota to grant the wish of a child. Saturday, August 6, Hibbert will lead Team 68 in a 5K walk through Minnehaha Park in Minneapolis at the 10th Annual Walk for Wishes event. 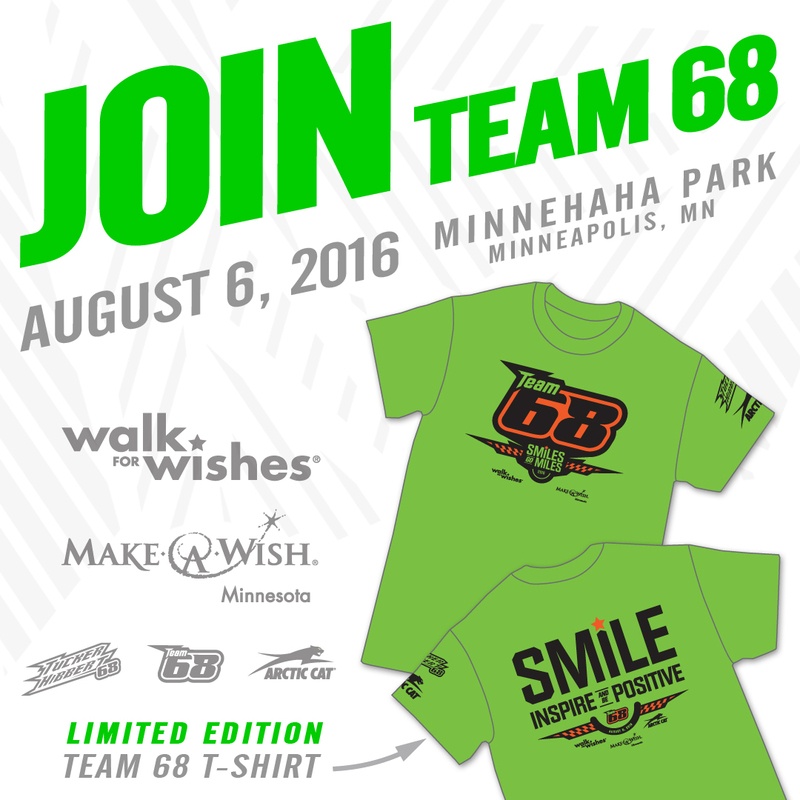 A donation of $20 or more earns you a spot on the team and a limited edition Team 68 t-shirt. Every dollar raised by the team will go directly to Make-A-Wish Minnesota. To join Hibbert’s Team 68 Walk for Wishes team, go to http://bit.ly/Team68Wish. People who join for $20 but are unable to attend the event will still get a limited edition t-shirt to acknowledge their contribution. For more information on Hibbert’s past involvement with Make-A-Wish Minnesota, visit http://bit.ly/NickWishSnowmobile.